Publication Information: G.P. Putnam's Sons. 2018. 448 pages. Opening Sentence: "The Goldbaum Palace was made of stone, not gold." Favorite Quote: "Her life had been carefully planned on her behalf: she felt detached from it all, as though she was not so much living as watching herself in a play, one where she already knew the plot and it appalled and bored her. Yet she was starting to realize that she could endure it all so long as she had freedom in this one place. Here, she would obey only herself." The "gold" is literal also for the family is a wealthy and influential one, dealing with actual gold among other things. Of course, the "gold" is also symbolic of the fact that the family name is Goldbaum. The Goldbaums are an influential Jewish family in Europe. The faith and the location are both important for the time period of the book begins in 1911. The specter of World War I looms. The branches of the Goldbaum family can be found in London, Vienna and spread across Europe. Their business interests are as varied. As political divides arises, so do fractures in the business interests, putting family members on opposite sides. This story comes from the Goldbaum tradition of only marrying within family - distant cousins but within family. It keeps the money in the family and maintains solidarity across the branches of the clan. Such a marriage brings Greta Goldbaum from Vienna to her groom Albert's home in Hampshire, England. So begins the story of a young woman placed in a marriage to a virtual stranger and in a place that is not home. The book then follows Greta and Albert and the rest of the Goldbaum clan to and through the tumultuous times of war. The issue arises because the book tries to follow the stories of too many members of this clan. Greta and Albert's marriage and whether or not an arranged marriage blossoms into love. Albert's brother Clement and his troublesome business ventures. Greta's brother Otto in Vienna and his trips to England. The elders of the Goldbaum family and their financial and political ventures. Greta's garden and the role of a female head gardener. The beggar boy Karl and his relationship to the family. The men of the Goldbaum clan going off to war. The impact of war on the home front. The history in the book is interesting because I have read much more about World War II than the onset of World War I. Some have said that the Goldbaum family and the outlines for this story are based on the Rothschild family, a Jewish family who established a banking business and then established themselves internationally as five brothers settled in London, Paris, Frankfurt, Vienna, and Naples. I do not know if this is actually the case, but once again, historical fiction leads me to an interesting bit of history I did not know. The story in this book unfortunately gets muddled because there are so many subplots. It is sometimes challenging to know where the main story lies. The cover implies that this is to be Greta's story, but the book does not settle into that. At times, there also seem to be jumps in time and place, leaving me wondering if I missed something. The history was there. The potential for story was set up. Unfortunately for me, it didn't quiet come together. Publication Information: Berkley. 2019. 368 pages. Opening Sentence: "She walks the cobblestone streets, her lithe body moving quickly." Favorite Quote: "Deep down, I believed a story could change us, and that if we read it deeply enough, a good book could transform our souls." Two women - a mother and a teacher. Two back stories of loss and love. One very sick child. These are the basics of The Secret of Clouds. The husbands in this book are in the background. Even the sick child is in the background. This is really the story of two women coming to terms with the losses in their lives. Maggie's life: Maggie is a dedicated and passionate teacher. She and her husband Bill have recently moved to Long Island to get away from city life. Maggie is asked to take on home tutoring for a young boy too ill to be around other children. Katya's life: Katya was a rising ballerina in Kiev. Because of changing conditions in Kiev, her husband Sasha convinces her to move to the United States. Sasha settles in to a new job. Katya feels alone and lonely. She has no career and no friends in her new home. Her life revolves around caring for her son. She adores him but also blames herself for his illness. Being the primary caretaker of a ill child further isolates her. Yuri's life: Yuri is an intelligent and articulate little boy. A rare heart condition means that he needs constant care and that he cannot be around other people for risk of infection. He hungers for connection and for a child's life. The story: Maggie is asked to home tutor Yuri. She agrees with trepidation for the situation brings out memories and emotions deeply embedded in her childhood. Nevertheless, she agrees. As you might suspect, this arrangement leaves all three of these individuals changed. The book goes into the back stories for both Maggie and Katya. Yet, neither one feels fully developed or explained. The book also tells the story primarily from Maggie's perspective - her job, her anxiety at teaching an ill child, her childhood memories that feed that anxiety, and even her marriage. As such, the balance of the story between Maggie and Katya is missing. Katya's trajectory from Kiev to Long Island, from a promising career to isolation, and from a joyful pregnancy to the reality that she might lose her child is by far the more interesting story. I wanted to know more of her perspective and her journey. The emotion in this book should come from the fact of a very sick little boy and those who love him, an inherently tragic and emotional situation. Yet, the more memorable emotions of this book are the ones from Maggie's and Katya's past. It is these memories that impact their feelings towards Yuri, especially Maggie's. To some extent, Maggie's story seems to be not about Yuri at all; he is simply the catalyst for her reckoning. This focus lessens the impact of this book. The impact of the book is also lessened by the ending. It is not really a surprise. Without a spoiler, I will say that the ending packages everything to a conclusion. Given the subject matter, it unfortunately feels like too simple a package. Real life is rarely that simple. Publication Information: Knopf. 2019. 272 pages. Opening Sentence: "When I was a girl I would sneak down the hall late at night once my parents were asleep." Favorite Quote: "... either all of us are accidents of history or none of us are. One sperm, one egg, one moment. An interruption - a ringing phone, a knock on the door, a flashlight through the car window - a single second one way or the other and the result would be an entirely different human being." Dani Shapiro's memoirs - at least the two I have read so far - tend to ponder big questions. Marriage. Life itself. Identity. Family. If you are in an appropriate frame of mind for that thought process, then these books are for you. 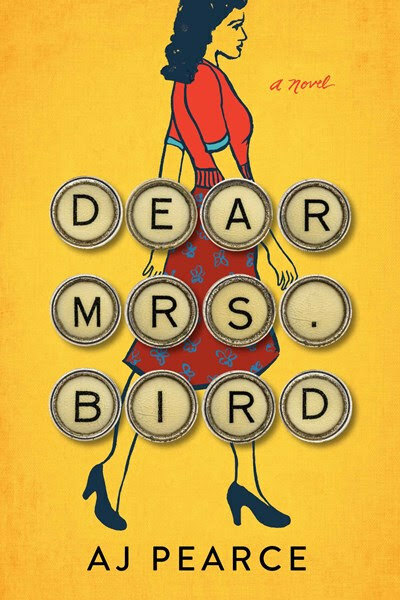 I find that with the two I have read, I have been willing to follow along for almost three hundred pages as Ms. Shapiro seems to think out loud through the dilemmas of her life. For me, the books just work. Ms. Shapiro is quite honest in the role of a memoir. ".... when it comes to memoir, there is no such thing as absolute truth - only the truth that is singularly their own." Her writing is a carefully crafted work put forth in front of readers. Yet, her books manage to create an intimacy that makes me feel like I am in a conversation with a friend sharing her innermost thoughts. I go along on the journey with her. Call that the craft of writing. I choose to read as if I have been let in to those thoughts; it makes for a richer reading experience. All of this is a testament to the writing before even getting to the content of the book. 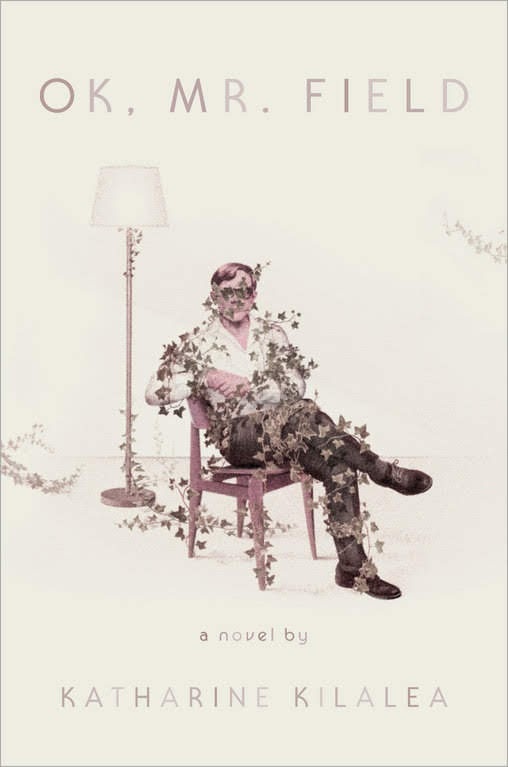 This memoir deals with the question of identity. "Throughout history, great philosophic minds have grappled with the nature of identity. What makes a person a person? What combination of memory, history, imagination, experience, subjectivity, genetic substance, and that ineffable thing called the soul makes us who we are? Is who we are the same as who we believe ourselves to be?" Ms. Shapiro looks at this question in light of shocking news that makes her question her own identity and place in her family. She and her husband gets quite a shock when a casually done DNA test reveals that biologically, she is not the daughter of Paul Shapiro, the father she has known and loved all her life. This further raises the question of whether the faith with which she has been raised is her own for it is not the faith and culture of her biological father. This sets her on a path to discover her biological origins and also on a path to define the way in which this knowledge changes her identity. "All my life I had knows there was a secret. What I hadn't known: the secret was me." The book follows both her practical search and her emotional journey in equal proportion. Admittedly, her practical search is simpler than many in that situation may encounter. It is not without its struggles, but her questions are answered. She knows who her biological father is and how the story of her birth transpired. Having the factual answer does not, however, answer the questions of why. That question may forever remain unanswered, which in and of itself becomes something to be grappled with emotionally. Most of us have not had a shock to our identity in that manner. However, that feeling of not belonging and questioning our place in the world is the one is one many people can relate to. I know that I do. That is another reason the book resonates with me. Publication Information: Crown. 2018. 416 pages. Opening Sentence: "I picked up the heavy white receiver on the phone beside my seat and asked the operator to place a call to my mother." Favorite Quote: "The past is never dead. It's not even past." The Last Palace is a history anchored by a home and told almost as four novellas. The Petschek Villa located in Prague was built in the 1920s and has been the home of the US ambassadors to Czech Republic since the 1940s. Norman Eisen was the US ambassador from 2011 until 2014. This appointment brought him to Prague and the Petschek Villa. The house and its history intrigued him, especially the fact that the house and its major residents capture four distinct periods of Czech and European history - from the 1920s, through World War II, through the Cold War, and to an emergence into current times. It is these stories that this book tells, and through the story of this one home, Mr. Eisen walks us through decades of European history. Otto Petschek, a Jewish financier and businessman, built the home. Otto's story is one of faith in democracy and an obsession like pursuit to build the ultimate home. His faith is shattered by the Nazi regime, and he is forced to abandon his beloved home and escape for his life. Then come the Germans and Rudolf Toussiant, a German general during World War II. The World War II episode again highlights that, at an individual level, heroes and villains exist on all sides of a conflict. The home of a Jewish community leader becomes a headquarters for Nazi operatives. Following the war comes the question of ownership, upkeep, and reparations. US ambassador Laurence Steinhardt is instrumental in saving the home from Communist takeover and bringing it under US ownership. Shirley Temple Black's interest in international relations is inspired by a trip to the city in the 1960s. She returns to the city as an ambassador in the 1980s. The post World War II quest to save the home reflects on the US leadership that existed and was respected in the world. The book contains detailed notes as to the source documents. The author's note state that the research comes from diaries, correspondence, and other papers. It also comes from interviews with descendents of the individuals he writes about. His mother's story is, of course, his own. Mr. Eisen has synthesized all this information and crafted it into a cohesive, quickly read history lesson. The history reads like a well-crafted story. The individuals who lived in the Petschek Villa were those with power and influence. They present one perspective. Norman Eisen comes decades later, bringing to the home his own mother's story of escape and loss. His mother is from a Jewish family from a small Czech village. The family was sent to Auschwitz. Frieda survived. By weaving his mother's story throughout the book, Mr. Eisen brings the impact of those events down to an individual level - the ordinary person, if you will. The son's story is one of a belief in democracy and American leadership. The mother's story is a reminder hate and persecution is never far and must be continually guarded against. That makes this a lesson for current times. Publication Information: GP Putnam's Sons. 2019. 432 pages. Book Source: I received this book through Penguin First to Read free of cost in exchange for an honest review. Opening Sentence: "You're supposing that you hold in your hands a manuscript." Favorite Quote: "Oh, I know how one gets into the knack of reading people well. A few hard years, some harder knocks, and human beings come into clearer focus." Alice James arrives in Portland on a train. She arrives on the run from her life in Harlem, New York. She arrives with a bullet hole in her side. Alice is "Nobody." A kindly train porter decides to help, and that is how Alice arrives at the Paragon Hotel in Portland, Oregon, in the 1920s. The Paragon Hotel is an all-black hotel, and that becomes the center point of Alice's story in Portland. The story flips back and fort between Alice's life in Harlem, and Alice's recovery at the Paragon. Harlem is the story of how a young girl named Alice turns into "Nobody" and learns to survive in a world of crime and hustle. Portland is the story of how a white woman Alice learns about the struggle of being black in a town where racism is endemic and the Ku Klux Klan wields a lot of power. I am interested in the history but found the book challenging for several reasons. The two story line structure is used in many books. Unfortunately, in this one, it falls a little short. The two stories are dramatically different - Mafia in New York versus racism and the Klan in Portland. Other than the character of Alice, they seem almost unrelated. Of the two, I find the one rooted in the history of Portland the more interesting one - the history and the characters are more intriguing. However, with the constant moving back and forth and the fact that the two stories are so closely placed in time, it is difficult to find a focal point. The unifying thread of the story should be Alice. However, the surrounding characters are actually the more interesting ones, but their stories are not fully developed. The history of Portland captured in this book is really not about Alice at all. Alice is almost more a witness to the history that impacts the residents of the Paragon Hotel. The time and place captured in both time periods is also more interesting to me than Alice's individual story. Those details, however, cannot anchor a story such as this because the character is the only commonality between two such different environments. My third challenge in this book is interestingly the language. I found the book difficult to read. Perhaps, the language is appropriate to the time and the place. I just found it hard to keep up with. It feels overdone and, for me, loses that sense of reality. Perhaps, my biggest takeaway from this book is the history of Portland. I really had no idea. In a conversation about race and equality, Portland is not a city I think of. Sadly, the history is very real. The Oregon Territory entered the United States with a law in 1859 with laws in place banning black people from entering, living in, or owning property. In the 1920s - the time period of this book, the highest per capita Ku Klux Klan membership in the country was in Oregon. Oregon did not ratify the fifteenth amendment until 1959! How sad is that! That lesson is the memory I take from this book. In her story, Alice finds that more unites us than divides us. Let's hope the world one day follows suit. Publication Information: Hogarth. 2018. 384 pages. Opening Sentence: "From the moment I accepted the invitation, I was nervous about returning to Germany." Favorite Quote: "But revisionism is revisionism and at least it gave me hope, that, long after I'm gone, readers will rediscover me and my reputation will be restored." Maurice Swift can put words together but has no imagination to create stories. He is ambitious. He covets success and stardom. What is he to do? "There's something in all our past that we wouldn't want to be revealed. Look around the foyer the next time you're there and ask yourself, What would each of these people prefer that I didn't know about them? And that's where you'll find your story." "Everyone has secrets ... There's something in all our pasts that we wouldn't want to be revealed. And that's where you'll find your story." "The fact is that we all have skeletons in our closets, histories of which we would prefer the world to remain ignorant." It all begins with his introduction to author Erich Ackermann. With Erich's story of the past begins Maurice's story of his future. Some see through him and refuse to fall under his spell. "I think Maurice is whatever he needs to be, whenever he needs to be it. He's an operator, that's for sure." Other's are not quite as fortunate. Maurice feels no remorse, and his justification of his escalating actions continues. It is not that he is unaware. He seems to genuinely justified in what he does. "I could have a heart of stone for all they know. I could be psychopath or a sociopath. Not all monsters look like the Elephant Man, and not everyone who looks like the Elephant Man is a monster." This book continues from episode to episode of each decision Maurice makes to further his own needs. Each person he meets becomes a rung on his own ladder to success as a writer. This book is a character study that is horrifying to watch develop but impossible to look away from. At each juncture, I wonder. Surely, he must stop now. Surely, he must see the horror of his actions. At each juncture, I am proven wrong and at the same time intrigued enough to turn the page and see what comes next. It does get to a point that makes me think that surely no one could go that far except that we all know the news is sadly full of people who do. Without a spoiler, I will say that I am not sure how I feel about the ending. The question remains in my mind that given Maurice's manipulation of people throughout this book, was this ending possible? There is another part of me that says that this was the only ending possible. However, was it perhaps too perfect an ending as to be contrived? I suppose the ending accomplishes its purpose; it will keep me thinking for a long while. The other question that the book poses is an ethical one. Someone who knows you are a writer shares a personal story with you. You take that life experience and turn it into a story without explicitly asking permission. Are you wrong? Did you betray a confidence or are you in the clear because the person knows you are a writer looking for a story? Intriguing questions and a fascinating and horrifying character make this a memorable book. Publication Information: Berkley. 2018. 592 pages. Opening Sentence: "I awoke in the milky dawn, that opalescent hour outside time." Favorite Quote: "When the gods grant you an impossible wish you do not question them, and if anything seems amiss you do not question that, either." "Nero fiddled while Rome burned." This is an expression I have long heard and read. This book is a fictionalized story of when Rome burned, what Nero did, and what came after. The Confessions of Young Nero told the story of the child who was caught up in the machinations of palace intrigue from his very birth. Even knowing the history of Emperor Nero Claudius Caesar Augustus Germanicus, the story of the child in the first book elicits sympathy. This book is the story of a young man but, more so, an emperor. The palace intrigues and plotting continue. Now, however, the emperor is at the heart of it all rather than an innocent child caught up in it. The expression "Nero fiddled while Rome burned" is interpreted literally and metaphorically. Nero was a fan of the arts; he did indeed play instruments and act in his compositions. Whether or not he played while watching the fire is unclear historically but likely not true. The broader implication of the phrase is that Nero was an unpopular emperor and deemed an ineffective leader by many. As with the first book, this book is filled with details of the ancient Roman world. The research that went into rendering that world is clear. However, in this book at almost six hundred pages, the details become too much. This book becomes more about the world it creates than the story it tells. The ancient Roman and, to some extent in this one, the Greek worlds are interesting. However, the extensive descriptions do not move the story forward and make for a very slow-paced book. The book begins with the great fire of Rome, which occurred in AD 64. Historical accounts say that the fire burned for a week and destroyed entire sections of the city. History is less certain of what caused the fire. Some say it was an accident; some say it was instigated by Nero himself to make way for construction of his palace complex. This story picks up on those theories. Further accusations state that Nero blamed the Christians for the fire and thus began the persecution of all Christians. The political quest for power and money govern the public side of Nero's life. On the personal side, the accusations are also shocking, having to do with his wife and his relationship with a slave. The book continues the theme from the first of portraying Nero as a sympathetic character. That worked well in the first but is much less successful in this one. An innocent child is much easier to depict as sympathetic versus a grown adult making choices. In this case, the book seems to err too far on the positive side; it renders an image of Nero that does not feel balanced. In that sense, the book accomplishes part of what I look for in historical fiction. While I do not plan on reading an actual biography of Nero, I do find myself reading shorter articles about how history has portrayed and judged his achievements and his failures. Publication Information: Crown Archetype. 2018. 304 pages. Opening Sentence: "Graham Chapman once said: 'Life is rather like a yacht in the Caribbean. It's alright if you've got one.'" Favorite Quote: "If this isn't exactly what went down, it's certainly how it should have happened." For those of you who don't know, Eric Idle was a member of Monty Python. Then again, if you don't know who Eric Idle is, why would you read his memoir? As for me, I did not know much about Eric Idle the individual, but I do know Monty Python. If a participant in the Monty Python The Meaning of Life is choosing to reflect on his life, I wanted to see what he thought. So, I was intrigued to know more. Even more so, I was ready to be entertained in a Monty Python-esque manner. Note that 2019 marks the 50th anniversary of the first airing of the Flying Circus on BBC. I suppose this is Eric Idle's contribution to the celebration. The title of the book, of course refers to the now iconic song written by Eric Idle and first featured in the movie Monty Python's Life of Brian. "Of course I have faults, but you won't read about them here. I've glossed over all my shortcomings. This is after the point of Autobiography. It is the case for the Defense." "Writing about yourself is an odd mix of therapy and lap dancing; exciting and yet a little shameful." "On the advice of my lawyer I am leaving out the shameful bits, and on the advice of my wife the filthy bits, and as usual in my career, I will leave you wanting less." The book description features a lot of famous names ... George Harrison, David Bowie, Robin Williams, Mike Nichols, Mick Jagger, Steve Martin, Paul Simon, Lorne Michaels, John Cleese and the Pythons, Princess Leia, Queen Elizabeth, and many more. That descriptions should have been a clue as to how the book was going to go. The entire book unfortunately is a lot of name dropping. The book reads much like a collection of stories that act as vehicles to name names. After a while, I find myself skimming through, waiting for greater substance. This unfortunately never comes. I expected to learn about the person Eric Idle is. A little biography is there, but it does not seem to go beyond the surface. The fact that the book is not chronologically written also contributes to that feeling. Perhaps, conveying a life is not the objective here, but growing with a character and taking a journey with them is part of the appeal of memoirs and biographies. I also expected to learn about Monty Python and the dynamics of the group that led to their creations. Again, a little bit is there, but I don't feel like I know or understand more than I did before reading the book. The fact that the book is a narration of people, places and events without much reflection or introspection contributes to that feeling. Sadly, in a sortabiography self-written, the author does not come across as the most positive character. That perhaps is the most unexpected thought of this book. Publication Information: Nancy Paulsen Books. 2018. 192 pages. Opening Sentence: "We think they took my papi." Favorite Quote: "My uncle says that when you tell stories, it's like letting out all the scared inside of you ... It's like you help stuff make sense." Harbor Me brings the headlines of today and the fear they generate to life through the eyes of six children, each with their own perspective on the world. Haley is biracial; her mother is deceased, and her father is incarcerated. She is being raised by an uncle, but now her father may be returning. Amari is young man of color, learning that the laws may be the same for all but the rules are different for people of color. Assumptions are made and actions may be taken by others based only on the color of skin. Ashton's family is impacted by economic changes, but he is learning that even without affluence, white privilege exists. Esteban is a child of immigrants, whose father is picked up by Immigrations and Customs Enforcement (ICE). "Before, you used to hear the word immigration and it sounded like everything you ever believed in. It sounded like feliz cumpleaños and merry Christmas and welcome home. but now you hear it and you get scared because it sounds like a word that makes you want to disappear. it sounds like someone getting stolen away from you." The dynamic of the book is a contrived one to my adult eyes. These six students are in a "special" class. The reason and the "specialness" of the class is never made quite clear. Their teacher provides them with an outlet. Once a week, the six students are allowed to meet in a room with no teachers present. It is a time for them to talk. How and why this comes about is never made clear. I would like to envision that in the background are caring teachers and counselors wanting the best for these children and working hard to make a positive impact in their work. Regardless of how it comes about, the point is that this is a safe space. From a child's perspective, that is what matters. The "harbor" in this title has many contexts. The cover depicts the children at the harbor with the Statue of Liberty in the distance. The harbor is literal in this New York City setting. The symbolism of Lady Liberty, of course, is the figurative harbor and the symbol of hope and freedom to so many. The ARTT room - A Room to Talk room - becomes a safe harbor for these students in the middle of their school day and their tumultuous lives. The group of six in effect becomes a safety net for each other. They harbor each other, providing understanding and empathy. The fears are clear as are the lessons. Providing children with diverse books in which they can perhaps see themselves is a service to our diverse community. Putting the so often unspoken emotions and fears of pre-teens and teenagers into words has the potential to change lives. Providing children with a reminder that a safe harbor exists is necessary. This book is a clear commentary on the recent changes and events in the United States. The book is also a statement that healing the divides is possible if we take the time to seek and understand through civil, sincere dialogue. Opening Sentence: "The kids fell in love with him first." Favorite Quote: "Science isn't always pretty, metaphorically, or literally." Oscar Howard (O. H.) aka "Bud" Frazier Jr. is the director of cardiovascular surgery at the Texas Heart Institute. He is best known for his work in the creation of artificial devices to support to take over the work of the human heart. He has performed performed more than 1,200 heart transplants and put in place more than 900 left ventricular assist devices. This is a number greater than any other surgeon in the world. In 2018, Dr. Frazier was awarded the International Society for Heart & Lung Transplantation Lifetime Achievement Award. This award is given to those whose body of work has significantly contributed to care of patients with advanced heart or lung disease. Dr. Frazier is one of only seven recipients of this award over the course of thirty eight years of the organization's history. 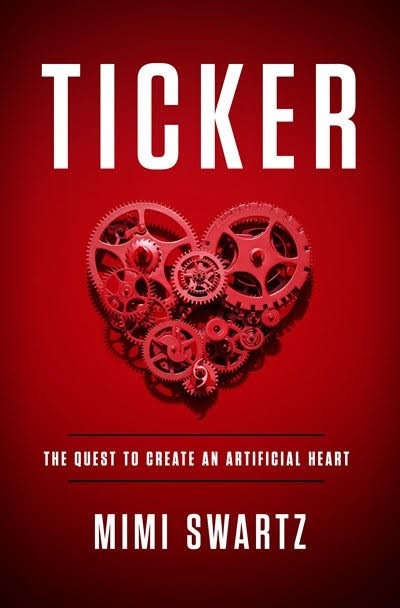 Ticker is the story of the artificial heart and of Dr. Frazier's quest to further this science. This book is part science, part medical drama, and part philosophical discussion on the ethics of medical research and intervention. This book is also about the cooperation and competition in the world of medical research. To be the first matters. To be the discoverer matters. Of course or perhaps sadly, this is also a book about economics. Medical research is big money, and medical patents are even bigger money. It is sad to think that monetary considerations enter into decision about research to be pursued and research left behind. The FDA defines an orphan disease as a condition that affects fewer than 200,000 people nationwide. Addressing these diseases is a public health concern as many are unwilling economically to invest in the research even though the research could save a life. Heart disease, on the other hand, is the leading cause of death for men and women in the United States. The impact of research is far greater in terms of patient population and economics. Hence, the research race. Dr. Frazier's is the name that stands out the most from this book even though it is a look at the development of the science and all the scientists involved. At times, it is unclear whether this book is an objective story of the creation of the artificial heart or a biography of Dr. Frazier. More often than not, it seems like the latter. He is clearly the main "character". Events and other people seems presented from his perspective. I don't know enough of the history to determine the accuracy, but the book seems to have a clear novel-like protagonist and plot. The book has scientific details but is also clearly written for a non-scientific audience. It is more narrative than science. Interestingly enough, those are the very reasons that make this book a very quick, fiction like read. Realize that, unlike fiction, there is not an ending. This is a "story" that is still evolving as the "characters" continue in their quest to improve medical science. They are "still trying to make a heart that wouldn't break." Publication Information: Riverhead Books. 2018. 464 pages. Opening Sentence: "Time is short and the water is rising." Favorite Quote: "... what is truth. Someone can be completely sincere in their belief of what they sawn and when. But another person, seeing the same things, has a different vision. A red fish becomes purple at sunset, black at night. An ant would call Riacho Doce's river an ocean. A giant would say it was a trickle. What we see in the world depends so much on who we are at the moment of seeing. Such stories may turn out to be gifts like bread crumbs leading us out of a dark forest; or they may be terrible diversions, leading deeper in to a maze we can never escape." Best friends can be complicated. When a friendship lasts a lifetime, it has its ups and downs. Rivalry can punctuate the lives of friends. What you hope endures is the love. Dores and Garca. Dores is the orphan, born to a "dirt poor" mother. She has learned to survive on the sugar plantation in the heart of Brazil. Garca comes to the plantation as the daughter of its new owner. The lives of the two couldn't be more different. Yet, each recognizes a kindred soul in the other. A friendship forms. "I knew how to work, how to avoid going hungry, how to survive. But I always needed Garca to teach me about possibility." The friendship cements itself in the breaking of rules and in music. Little do they know how long the friendship will endure or where it takes. The book starts at that meeting and winds its way through almost five hundred pages and decades of friendship. It leads from the plantation to the streets of Rio de Janeiro to Hollywood and back again. Through it all runs music. It begins as a duo, but then each young woman finds her voice in different ways. Garca is a gifted singer. She transforms into a star, Sophia Salvador. Dores does not have a talent for singing, but finds her voice as a songwriter. As Sophia's songwriter. They work together. Yet, Garca is the face and the voice that people recognize. She is the star even though the stories and words people respond to belong to Dores. So, it continues through their lives. The narration of the story is entirely through Dores's eyes. It is an old Dores reflecting back on life and friendship. Although the book creates a multi-dimensional image of Garca, it is through Dores's perception. Part of me is left wondering what the other side of the story would be. "Being a woman is always a performance; only the very old and very young are allowed to bow out of it. The rest must play our parts with vigor but seemingly without effort." We see Dores's performance, but I am left wanting to see Garca's. Also, for what the story is, the book is long. The descriptions are detailed, which is an interesting construct given that the book is written as a memory. The details also seem superfluous given that this is a book more about characters than the plot. The plot itself is a fairly simple one. Sometimes, the details appear as filler. Aside from the two women, the third main "character" of the book is the music itself. Music is a primary reason the bond between Dores and Garca forms. Music leads them from the plantation to the music scene of Lapa in Rio de Jaeiro. Music determines almost the entire trajectory of their lives. At some point, their differing contributions to music also divide them. Through it all, the book is an homage to the samba music tradition that is so integral to Brazilian culture. A new knowledge of this music is what I take from this book more so than the human characters or the story. Publication Information: Simon & Schuster. 2018. 336 pages. Opening Sentence: "There was a mermaid, said Finn." Favorite Quote: "... singing together makes you allies. Automatically. Always. Even if you're enemies, normally, or far apart, or both. So they would hear and would sing or hum or play fiddle or accordion or guitar and all remember together. Every new voice would make a bigger, better picture of home, filling in some gaps, bits they might forget alone." The historical background of this book is not explained in the book but is important to understanding the story. The setting for the story is an isolated fishing village on the coast of Newfoundland, Canada. The waters around Newfoundland were at one point home to an abundant population of fish, especially codfish. Cod fishing has always been a part of that region's history. With the arrival of Europeans in the fifteenth century, knowledge of the plentiful fishing spread. With time came commercial fishing. Then came large scale commercial fishing to the point of factory fishing ships. The industry grew, without thought to the preservation of the fish populations. According to research done, the amount of fish caught by the factory ships in fifteen years match the total amount caught from the mid-seventeenth to the mid-eighteenth century. The industry collapsed as the fish population was decimated, leaving many of the particularly smaller fishermen without a livelihood. Things became even worse for these families in 1992 when, in an effort to save and rebuild the fish population, a ten-year moratorium on fishing the area was instituted. Now, these families did not have a livelihood nor any chance of regaining that livelihood. The Connor family in this book is one of the families in this predicament. Aidan and Martha with their children Cora and Finn are trying to survive. Aidan and Martha alternate months working away from family in order to provide a living. The economic hardship, the work, and the separation takes a toll on the marriage and the family. Then comes news that they may have to leave their home permanently. The two children take different approaches to try and save their home and family. Both are somewhat far fetched. Embedded throughout the book are the songs of Newfoundland. In researching the background of the book after reading it, I also found that Newfoundland has a rich musical tradition. The tradition represents the native populations of the regions as well as English, Irish, and Scottish traditions of the settlers. Given the setting, much of the music is stories of the sea. Unfortunately for me, I read the historical background of the book after I read the book, mostly to try and make sense of it. Much of it seems almost a flight of fancy and an allegory. The music teacher. Cora's approach to bringing the world to the village. Finn's plan for bringing back the fish. Even the music and the song lyrics. The imagery is vivid. I can "see" the isolation, the sea, the grey skies, and the cold. That is the lasting memory of this book for me. However, for most of the book, I am not entirely sure what it means. After a while, I stopped trying to understand and read it more as imagery and poetic expression. I appreciated the story more after knowing the background. I just wish the book had offered some explanation within the story. Without the background, the trajectory of the story gets a little lost because I don't understand the "why". Opening Sentence: "Clara Darden's illustration class at the Grand Central School of Art, tucked under the copper eaves of the terminal, was unaffected by the trains that rumbled through ancient layers of Manhattan schist hundreds of feet below." Favorite Quote: "Look at me. No one knows what I am. But I don't care, because I love the way I move in the world. I love my perspective on the world. I've earned it, and anyone else can go to hell. I wouldn't have wanted to paint you if I didn't think you were a fascinating subject: a woman of a certain age, with the wounds to prove it. That's what interests me. Desperate to cover those wounds but still carrying them capably. A woman who is just learning her own strength." Two women. Two time periods. One city. One beautiful old building. A book that tells both stories in alternating sections, winding them closer and closer together until by the end, all the connections are revealed, and the stories find a path forward. This is the structure used by many books including all three of the Fiona Davis books that I have read. In this case, the location is Grand Central Terminal in New York City. The iconic landmark is of course known for its major function - that of a train station. Today, it is one of the world's most visited tourist attractions. It still is a working train station but is also home to numerous food, shopping, and event venues. In this book, I learned that for about twenty years from 1923 to 1944, Grand Central Terminal was also home to the the Grand Central School of Art. Clara Darden, an instructor at the school, is the story of the past in this book. She comes to New York with big dreams of an art career. She attempts to make her way through the prejudices of the 1920s. What she finds is obstacles in all directions for a "woman" artist. What she also finds is the prejudice amongst painters and sculptors towards those who are "just" illustrators. However, she also finds the affection of friends and of men who would be more. Clara Darden disappears in 1931, never to be heard from again. Virginia Clay is the story of the "present" - the 1970s. She comes to Grand Central Terminal out of necessity. Recently divorced and recovering from other more physical wounds, she needs a job. She gets a position working in the information both of the terminal. Her days consists of helping with train schedules and any other questions visitors to the station may have. Much to her surprise, she too finds friends. She also discovers that there are those who would destroy this iconic building in the name of money and progress. In her explorations, she also stumbles onto the the now abandoned art school space and a mysterious unsigned piece of original art. So starts her foray into the past. The book tells the stories of these two women and these two time periods in alternating chapters. As the book progresses, the stories wind closer and closer together, until they finally intersect. I did guess correctly what that meeting point was going to be so it is not a surprise when it finally comes. However, the unexpected turns in the journey to get there makes a great story. Typically, in books set in two time periods, I find one more interesting than the other. In this book, I find that interest balanced. Clara's and Virginia's stories are so different from each other, but the strength of both characters is what shines through. I find both engaging and find the ending to be a satisfying conclusion to both stories. I am now looking forward to what Fiona Davis writes next. Publication Information: Spiegel & Grau. 2018. 368 pages. Opening Sentence: "Her father has gone to find her a husband"
Favorite Quote: "Not knowing is a kind of happiness." The Madonna of the Mountains is a World War II story but from a perspective I have not read before. Maria Vittoria's story begins in 1923. Her family has survived World War I in the Italian mountain village where the family has lived for centuries. Maria is 25 years old. Her wish and her family's wish is for her to be married; she is already considered a little old to be eligible. The book begins as a groom is found, and a wedding takes place. The story then follows Maria over the next almost thirty years. This is a saga of survival. At a personal level, there is love, disappointment, births, deaths, moves, businesses, friendships, and all the other elements of a life centered on family. At a broader level, there are the years of the the rise of the fascist regime and World War II. At each juncture, Maria does what she has to to survive and to ensure that her family survives. The setup of the book shows the potential of an engrossing story. A background of struggle and war. A patriarchal society in which women are expected to be subservient to men. An arranged marriage. A beautiful Italian countryside setting. A faith that judges. A struggle of a strong woman to keep her family safe. Unfortunately, for me, the book never quite reaches the potential suggested by these elements. The pace of this book is very slow. The story is a quiet one, focused on the day to day struggles of life. That may be purposeful, but in this case, it becomes a challenge to keep reading. I keep waiting for more. In that waiting, somehow Maria and her struggles never quite become real for me. I don't invest in her as a character, which makes the book a challenge. In addition, the story stays narrowly focused on Maria and her family such that I don't get a sense of the sweeping history that is the context for this story. This is not a historical fiction that engages me enough to read more of the actual history of that region at that time. The oddest note in this story is the characterization of the Madonna in this book. For Maria, the Madonna is a guide through life as represented by a statuette that goes with Maria all through her life. It appears to "speak" to Maria throughout the book, offering commentary and advice. Unfortunately, the tone is almost always negative and judgmental. Perhaps, it represents Maria's conscience and her internal dialogue of guilt. In every situation, the Madonna judges Maria and finds her lacking - in virtue, as a wife, as a mother, and as a woman. That psychological impact is never really explored; it is just there as a jarring, sad note throughout. In fact, after a while, it becomes a repetitive note that just never goes anywhere. To some extent, that becomes the story for me. Note that the book ends rather suddenly. The end point to me seems to indicate that a sequel might be coming. While I am still intrigued, unfortunately, I do not know if I will follow along.